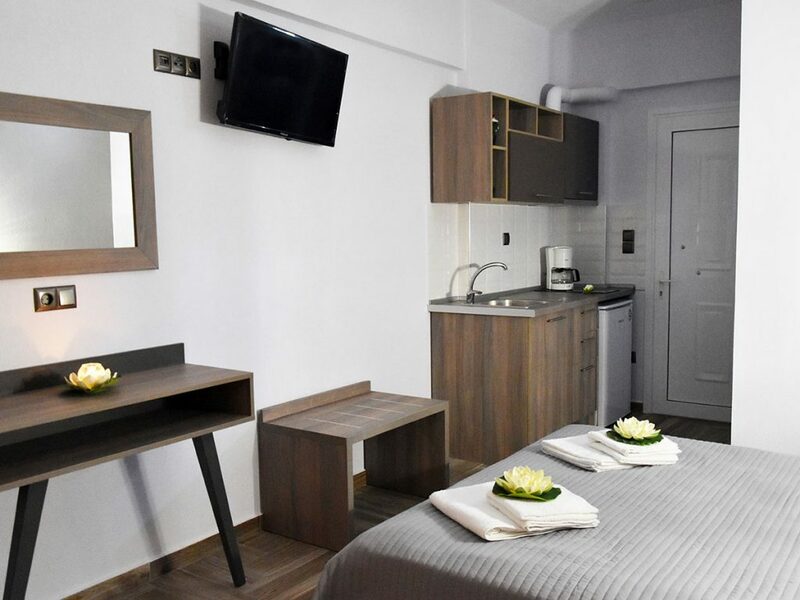 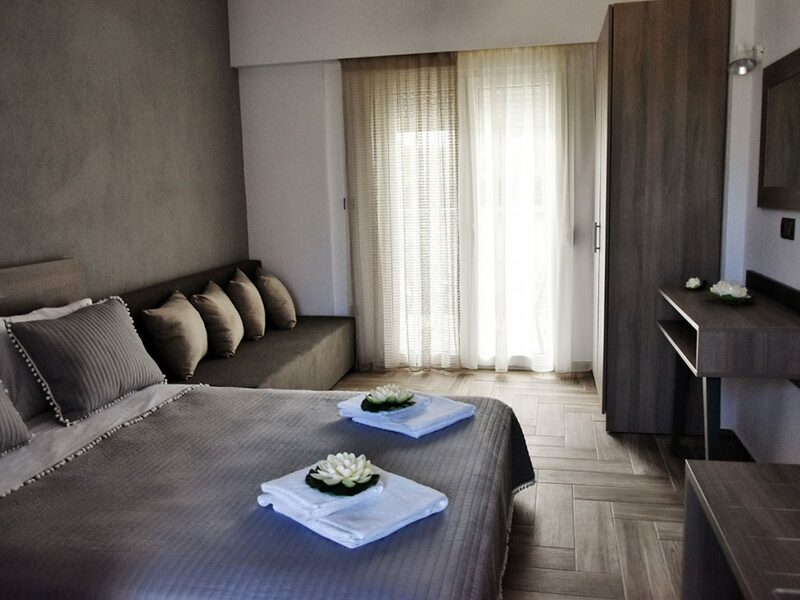 All rooms consists of a double bed, a sofa bed and can accommodate up to 4 people. 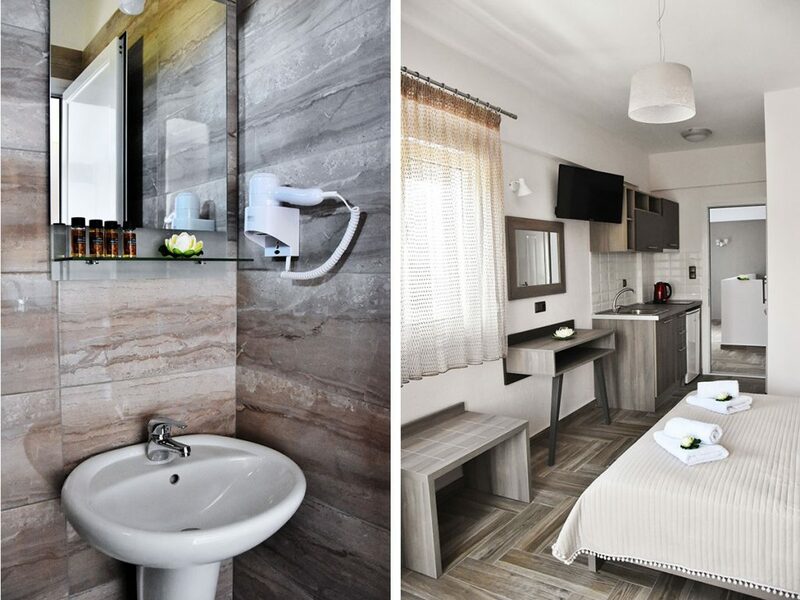 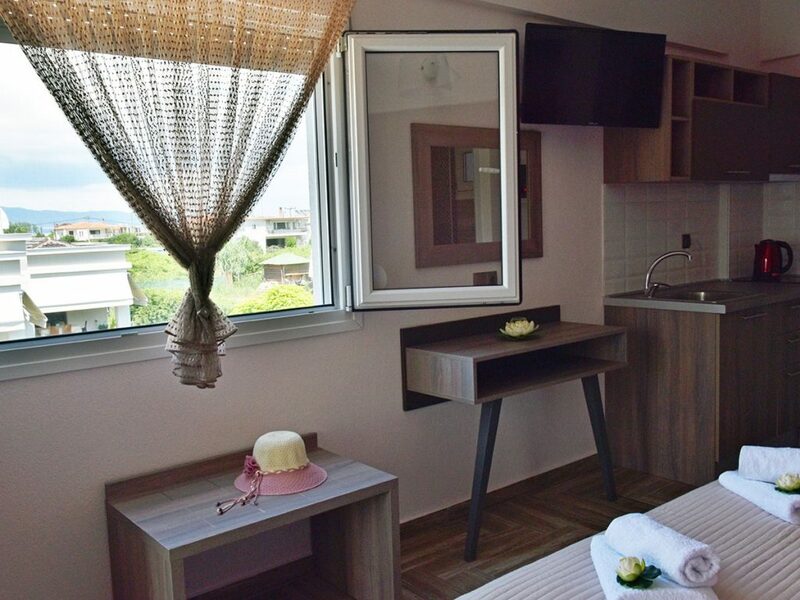 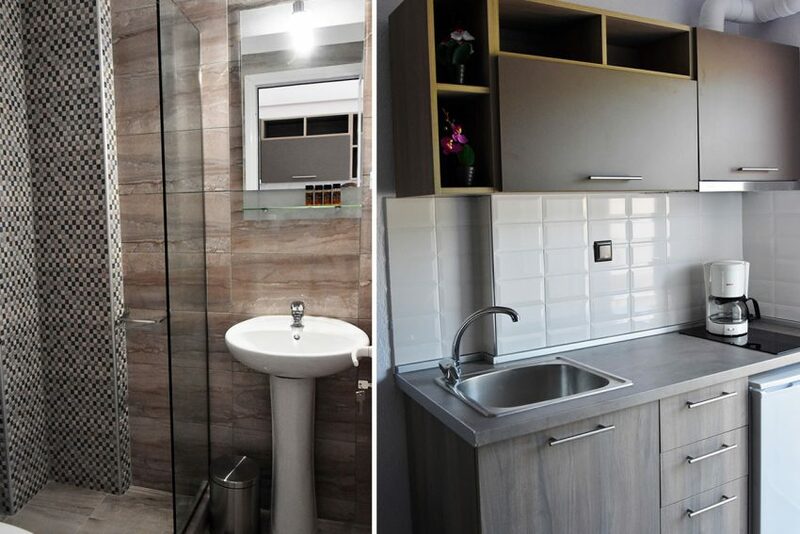 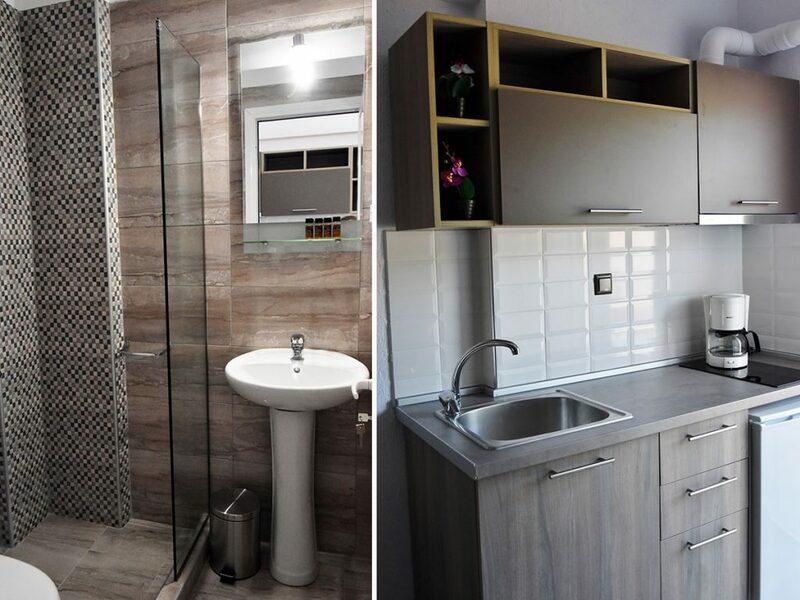 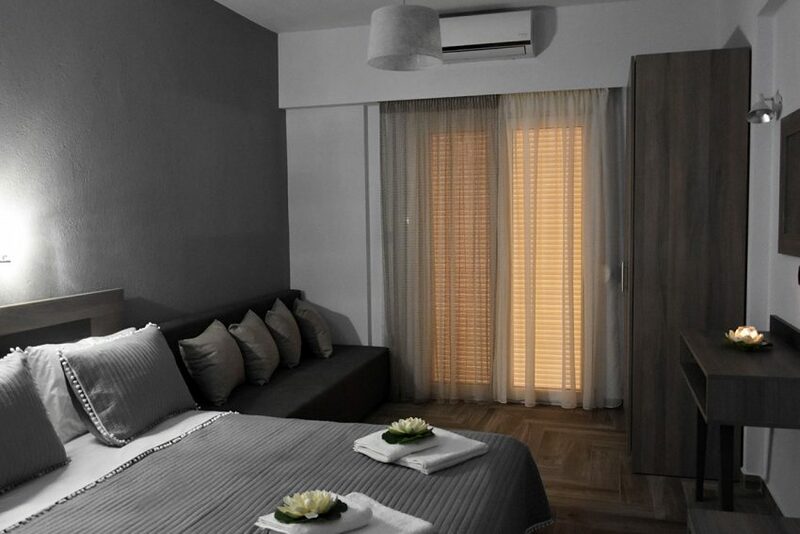 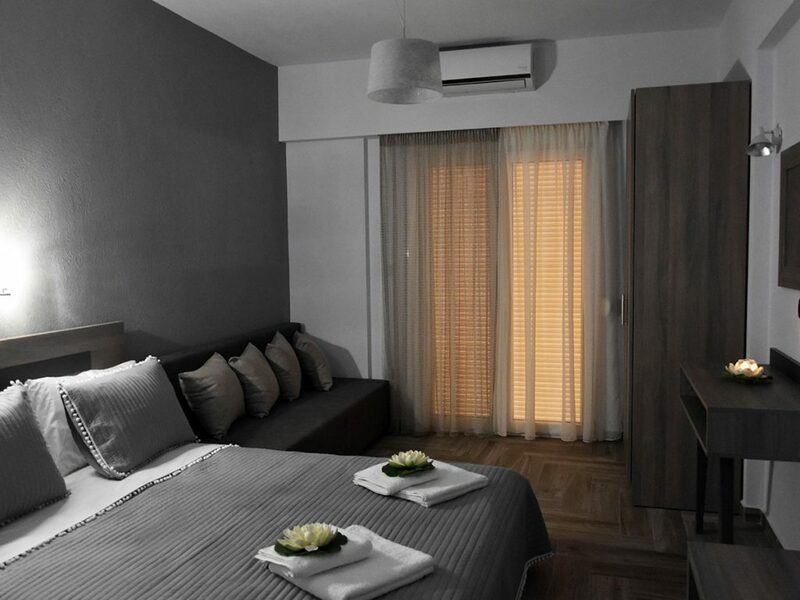 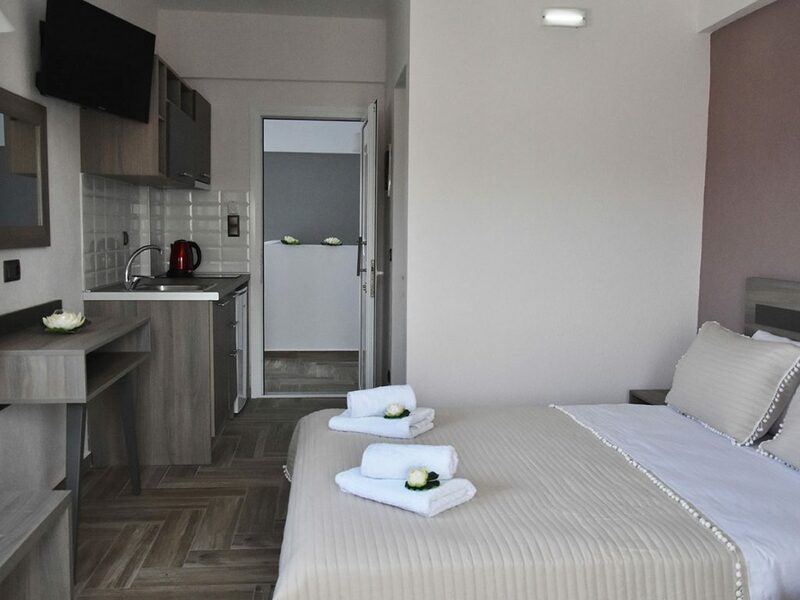 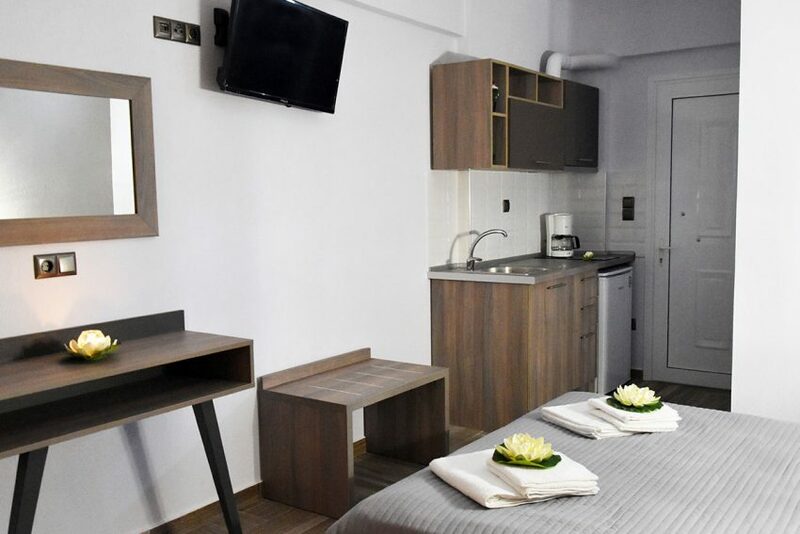 All the apartments are brand new and decorated with great taste so that your stay in Stavros is unforgettable. 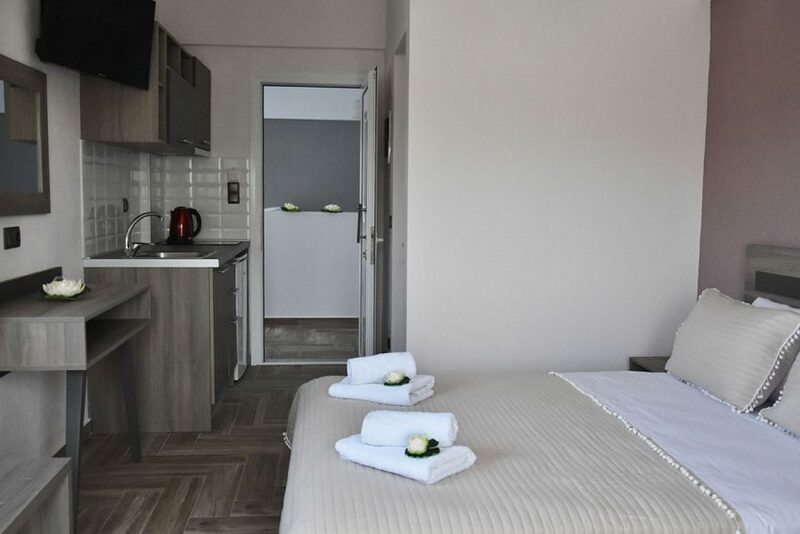 They include a double bed and a sofa bed so that up to 4 people can sleep. 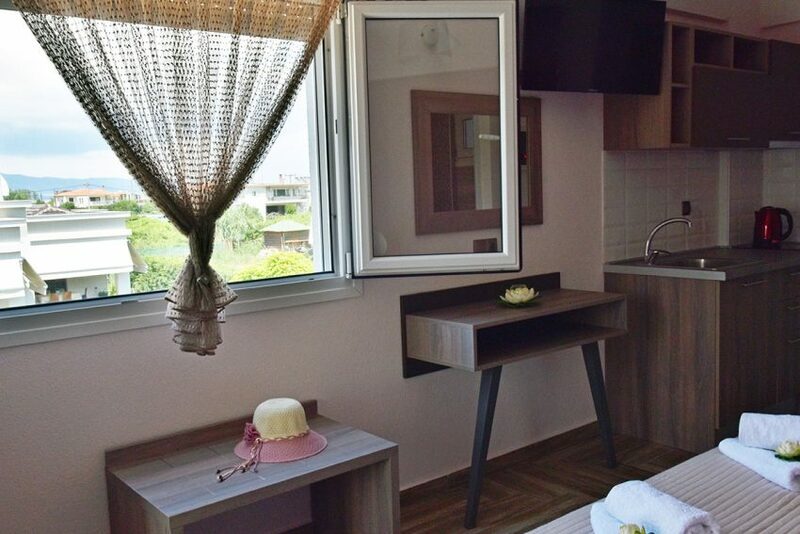 The kitchen is fully equipped with all cooking utensils and also has a coffee maker and a kettle. 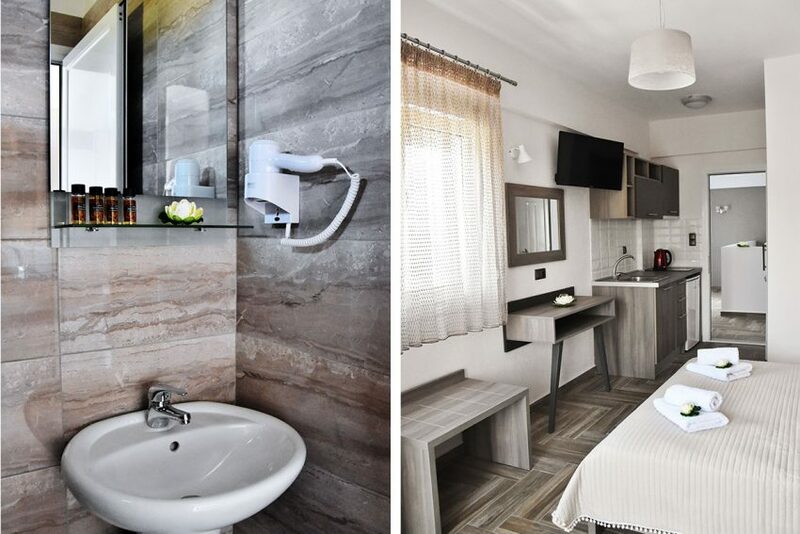 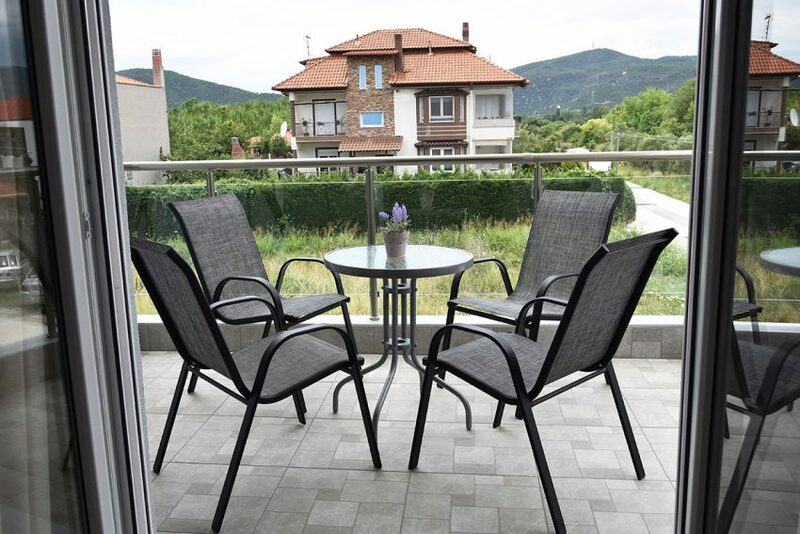 Facilities include: air conditioning, flat-screen TV, toilet / bathroom with shower, balcony and hair dryer.